When it comes to auditioning for any type of singing reality show or contest, there is a lot to contemplate. Going into the entire audition process, you have not only be extremely strong and secure, but confident too. You also need to know who you are, as an artist and what makes you stand out more than the average singer. There are a lot of great singers, but what makes a singer possess that certain quality that is outstanding or amazing is originality. The ultimate way to project your originality onto any judge is being able to sing almost every song, but singing the particular song you choose, differently. When I refer to "differently" I do not mean changing the arrangement entirely, but simply doing something a little different with the song, making it original, as a result. Which leads me to song choice. How important is song choice? Very important. You hear so many great singers, but a vast majority of them sing songs that have already been done. For instance, you may hear a good female singer who may possess a serious, outstanding vocal, however; if she sings a Whitney Houston or Celine Dion song, she will end up being compared to the original artist. Although being compared to one of the "divas" of the popular music persuasion, can be a good thing, there is a 90% chance that it is more bad than good. No one can sit here and tell you what to sing at your reality singing audition, as you are free to choose what you wish. 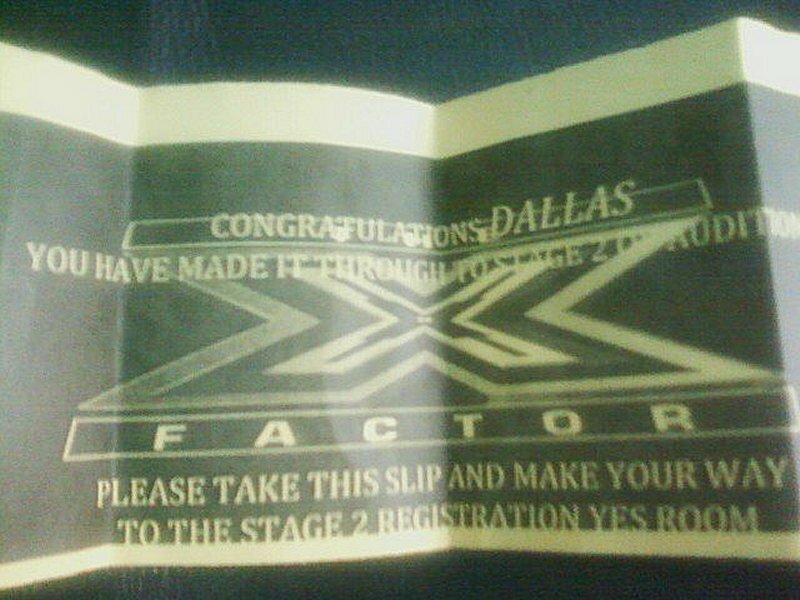 However; when I tried out for X Factor in Dallas of 2011, I made it through to several rounds and it was because I chose songs that you would not expect me to choose. I was original and as an observer, I noticed that the vast majority of singers who did, in fact, make it through on the show did the same thing that I did. So the question remains, what should you sing at a reality singing show audition? Only you can decide, however; I am going to tell you what NOT to sing at a reality singing show audition. If you are female, you DO NOT want to sing a song by any popular "diva" who has established herself in the music industry. You will be compared to the original. 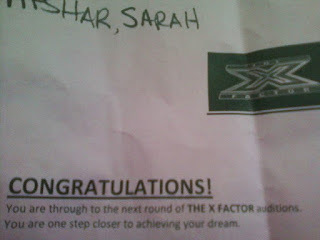 When auditioning for X Factor, I heard a lot of serious female singers get turned away because of this. A woman had an outstanding voice and she attempted to sing Celine Dion's "Because You Loved Me" and although she sang the song, in my opinion, as good, if not better than Celine herself, they passed on her simply because it was a popular song, covered a million times. Whether you are female or male, you DO NOT want to sing a song that has been covered numerous times. If you are a man and you are looking to sing a song that has been sung so many times, you have lost count, more than likely, you will not go through to the next round. For instance "Unchained Melody" by "The Righteous Brothers" is a beautiful, timeless classic, however; the song has been covered so many times. Even if you risk doing something original with the tune or even singing the song remotely more exciting than the original artist, more than likely, the judges will pass on you. If you are male, you DO NOT want to sing a song sung by a male artist and try to imitate the artists voice. Although this applies to women, I have noticed that more men tend to do this. They have ok vocals, but in theory their voices sound like terrible impersonations. If your voice sounds like Steven Tyler, Rob Thomas, John Mayer, or Bob Seger and you sing a song by either one, you will be compared and not in a good way. The judges will definitely say "it's a no" to you. Whether you are female or male, you DO NOT want to sing a song that stays in one vocal register through the entire song. I do not necessarily mean singing in head voice, however; they want to hear what your vocal potentially is. You do not have to show off, so this does not necessarily mean singing extremely loud, but give your vocals some color and let them know what you are capable of. Whether you are female or male, you DO NOT want to sing songs that you do not connect with. There are many good voices, however; they look for people who are exceptional. To deliver a song appropriately is to project the emotion the song brings to you. You want to tell a story, not sing because you think you sound good singing a song. Life is all about being spontaneous and taking risks. It is not hard to do. Just follow these basic rules of what NOT to sing at a reality singing show audition and you will be fine. 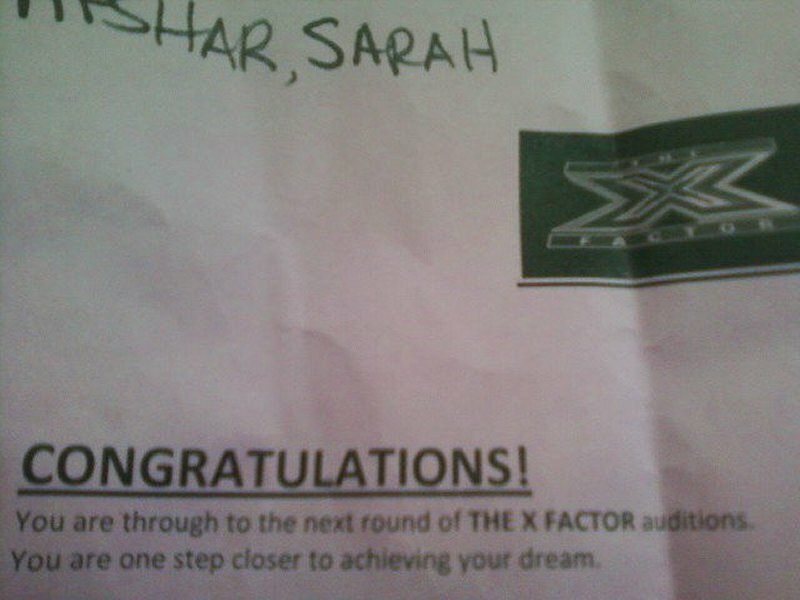 X Factor! Are you ready? Lambrusco wine is a wine that is prepared essentially from grapes. Created with the wine grape assortment Ancellotta, Lambrusco remains to be one of the most widespread, reasonably priced, imported wines in the United States. Although this vastly underrated wine possesses an acquired taste that reminds you of Sangria with a hint of fabulous bitters, Lambrusco wine remains to also possess several reasons why it is wine of choice. I have decided to narrow down the many reasons to love Lambrusco wine to only the top 10. 10. Weight Management. The grapes in Lambrusco wine possess a natural thyroid acceleration which increases adrenaline and gives you a reasonable amount of energy, as a result. Lambrusco wine is low in calories and when you enjoy a glass at the dinner table, you will notice that the consumption of calories is relatively low, as well as the carbohydrate content. If you are a diabetic, it is recommended that you drink a glass of red wine a day. Why not enjoy a glass of Lambrusco wine. 9. Treats Insomnia. Most of the time Insomnia is psychological and remains co-morbid with other pre-existing conditions. Sometimes cognitive therapies work, however; if you are looking for an effortless remedy that comparatively quick, yet swift, Lambrusco wine is the solution. Lambrusco wine is made of a wide-range, variety of ingredients that work together to promote stimulus which is linked to the origin of the Insomnia problem. Whether your insomnia is minor or acute, you will benefit from drinking Lambrusco wine, making it one of the top 10 reasons to love it. 8. 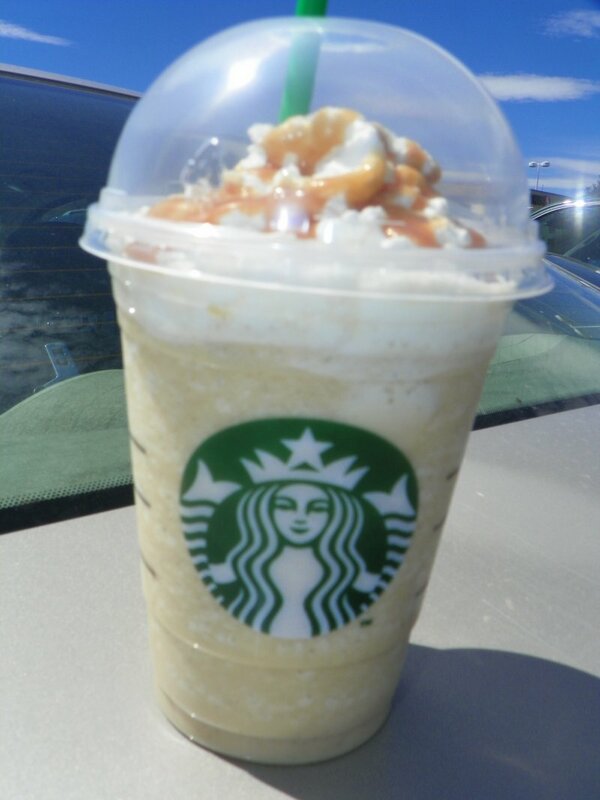 Stimulates Memory. There is no cure for memory loss. You can try an array of strategic puzzles, but you will never find an resolution. Once those receptors become lost, there is no way to get them back. Memory loss can happen to anyone, especially those that are aging, as well as, those that suffer from certain disorders. The great news is, there are ways to invigorate memory and one of those ways is having a glass of Lambrusco wine a day. This underestimated wine also works as a prevention to memory loss too. 7. Prevents Hypertension (or High Blood Pressure). One of the top 10 reasons to love Lambrusco wine is the fact that it contains a relatively high Potassium content. With over 100 mg per glass, what a better way to recognize one of the most flavorful wines in the world suppresses this very important compound. Potassium is nature's cure for any sort of blood pressure issue. It also works as a natural prevention medium for issues such as hypertension, as well as, stroke. It is also nature's diuretic. Even though high amounts of potassium are found in foods such as bananas, avocados, beets, and even chocolate, among other things, potassium is also found in an array of grapes, including the variety that is used to make Lambrusco wine. 6. Cures Headaches. Lambrusco wine cures headaches, making it one of the top 10 reasons to value this exceptional wine. I am not referring to the infamous "Red Wine Headache" which involves an array of symptoms. Lambrusco wine is also recommended to those with impaired vision. A glass of Lambrusco wine is what is recommended and that is a reason to love it. 5. Heals Wounds. Whether the wounds are open or closed, the Vitamin E that is in Lambrusco wine works as a fabulous healer in every sense of the word. Vitamin E is a very effective natural substance that hinders and hampers the loss of fundamental particles, as well as, electrolytes. The grapes used to produce Lambrusco wine possess a high amount of Vitamin E. A glass of Lambrusco wine also helps in an array of skin issues such as psoriasis and other skin infections. 4. Cures An Array of Stomach Issues. The stomach is one of the most important organs in our body. When our stomachs' feel bad, we feel terrible, as a result. I have discovered that Lambrusco wine helps with the cure of variety of stomach issues. Although Grape Seed Oil is ostentatious rarity, it is a normality when it comes to Lambrusco wine. In fact, the two go hand-in-hand. Grape Seed Oil works as powerful antioxidant that fights glumpy steroid fat created by the liver, as well as, small intestines. Grape Seed Oil possesses minor quantities of Vitamin E, as well. Having one glass of Lambrusco wine will help reduce Low-Density Lipoproteins, creating a naturally organic compound which works to fight off several varieties of infection. This prevents clogged arteries, as well. 3. Prevents Heart Disease. Some of the best health secrets are right in front of your eyes. One of the best antioxidants in the world is definitely Grape Seed Extract and it can be found in Lambrusco wine. Grape Seed Extract is a natural imitative from whole grape seeds that works as a vigorous antioxidant. Grape Seed Extract has systematically verified it's role in life. 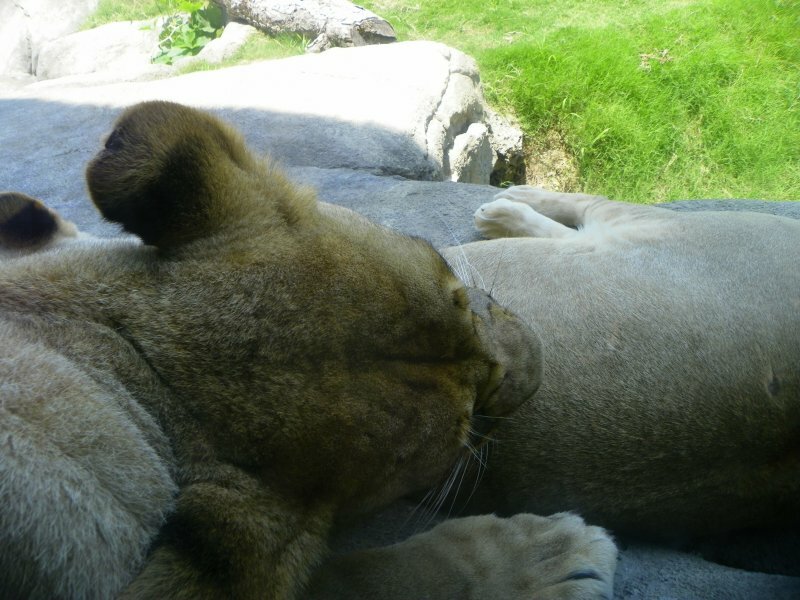 Not only is it used to treat wounds, it has been linked in the treatment of decay and inflammation. It is also used reduce the risk of disease and of course, cancer, attacking the appropriate cells. Lambrusco wine incorporates a lot of grape seed extract, making Grape Seed Extract one of the top 10 reasons to not only love this wine, but appreciating much more so, as a result. 2. Prevents Cancer. The beauty of life needs to be embraced and what a better way to prevent harmful things happening to you. One reason to love Lambrusco wine is Reservatrol. Reservatrol is a natural phenol which works as a natural pollutant to erase organisms, impurities, or anything that is receptive to infection. It is also an antioxidant which modifies the chemistry of the human body, creating only powerful natural protein. Because Lambrusco wine is made with Italian wine grapes, it possesses a rather modest Reservatrol content. It is scientifically proven that Reservatrol amplifies life expectancy and also inhibits cancer cells from making their way into the body. One glass of Lambrusco wine a day can help keep the bad stuff away. 1. Promotes Endorphins. The number one reason to love Lambrusco wine is because it promotes endorphins in the body. Endorphins are more than just physical, they are mental and emotional too. The key to life is being happy and what a better way to do that with Lambrusco wine. It is scientifically proven that the grapes found in Lambrusco wine, along with the actual process of making the wine, are linked to promoting aromatic amino acids. These amino acids are natural enzymes that work together to keep you emotionally balanced. The grapes also promote levels of neurotransmitters such as Dopamine, Serotonin, and Tyramine which work as natural inhibitors to many levels of mental illness and affective disorders. The Nook Color has started a revolution in e-reading. Introduced to society by American book retailer Barnes & Noble in 2010, this amazing e-reader proves why it is one of the most popular e-readers in the world today. 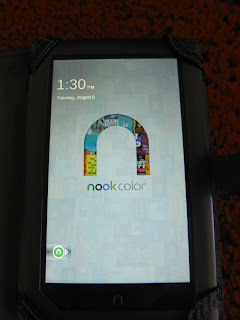 There are numerous applications that can be used with this wonderful device, so I have narrowed down the many apps to the top 5 Nook Color apps of 2011. 5. Boingo Wi-Finder. 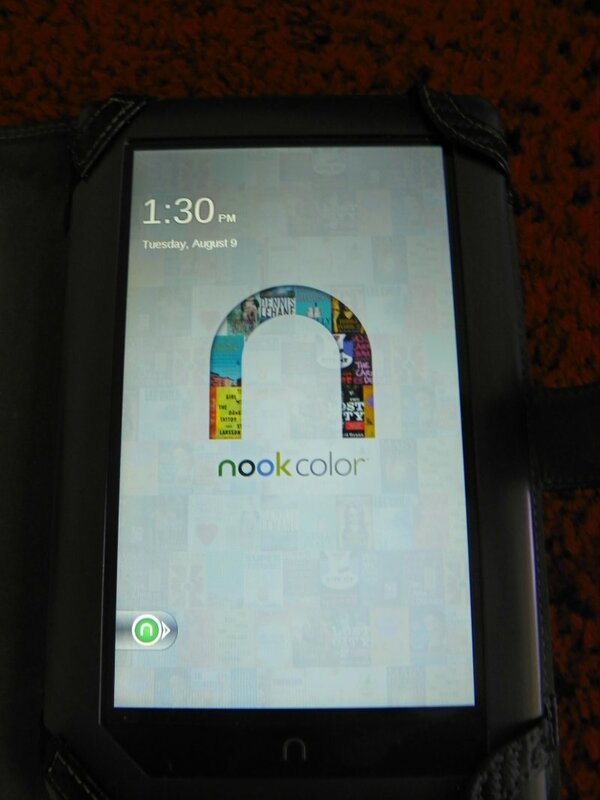 It is a well known fact that the Nook Color e-reader uses only Wi-Fi to connect. What a better way you can enjoy easy internet access with your Nook Color than the Boingo Wi-Finder application. The Boingo Wi-Finder allows you to discover Wi-Fi access near you. This is a Nook Color exclusive, so it is only available to Nook Color users. This is a free app. If you want to know more information about the Boingo Wi-Finder app, simply visit BarnesandNoble.com today. This is one of my favorite apps simply because it makes finding Wi-Fi extremely easy. 4. Seesmic. After trying a wide-range, variety of applications for Nook Color I have discovered that Seesmic is one of the best for 2011. You have access to full amalgamation of every social network you belong to, making it incredibly easy for you to administer. This app is free. For more information about the Seesmic app, simply visit BarnesandNoble.com right now. There are thousands upon thousands of social networks on the world wide web. This application truly allows you to manage them, with little to no effort. 3. GoodReads. Some of the best kept secrets are exposed and with the GoodReads app, this proves be true. If you are searching for a great Nook Color app that allows you to not only review and rate books, but garner only the best recommendations based on your favorites, you will love GoodReads. For more information about GoodReads, simply visit BarnesandNoble.com today. Some of the best books I have ever read were by recommendations and this app truly demonstrates why it is one of the best Nook Color apps of 2011. 2. Evernote. If you are looking for a great app which allows you to take notes, you cannot go wrong with the Evernote app. Not only can the notes be in text, but you can also create an array of image notes. You can also manage your notes from an array of other mediums and platforms. It is extremely easy to use and out of the numerous apps I have used for my Nook Color, it is one of the least complex I have used. I like to use this app as part of my blogging backup. This is a free app. For more information about Evernote, simply visit BarnesandNoble.com right now. You cannot go wrong with this Nook Color application. 1. Pulse News. The number one Nook Color app of 2011 is definitely Pulse News. Pulse News not only gives you the most recent news, it also connects you to every social network under the sun. You can also personalize your news, as well as, look up just about everything under the sun. I absolutely love this app and can admit that it is on my Nook Color. This app is free. For more information about the Pulse News app, simply visit BarnesandNoble.com today. Looking to discover only the latest news, let the number one Nook Color app of 2011 guide you through and lead the way. Life is like a martini cocktail, you never know what you are going to get. This also applies to the big apple. Although the main martini consists of gin and vermouth adorned with an olive or lemon twist, in most recent years the drink has expanded it's principal origin to various flavors, as well as, type of martinis. Even though I am a fan of the original martini, I have grown a fond admiration for different types of martinis. One thing is certain, I have tried so many martinis and have narrowed down the many establishments to only the top 10 places to find an incredible martini in New York City. 10. Nuyorican Poets Cafe. I have always been culturally connected, as I am a huge people person. I can appreciate New York City for what it is, a huge cultural connection. Another thing I can appreciate is getting a wonderful martini in New York City and what better place to get it than the Nuyorican Poets Cafe. Located in the heart of NYC on 236 E. 3 rd Street in between Avenue B and Avenue C, lies one of the best places to find an incredible martini, the Nuyorican Poets Cafe. When you first walk in, you will notice the post modern trend that includes artists of all sorts that range from painters to poets. This place is exceptionally lively, as the social interaction here is deeply engaging. There is open mic here too, which makes the place possess an interesting concept that is relatively original. The martinis at this fine establishment are some of the best that the big apple has to offer. The Nuyorican Poets Cafe is open Monday through Thursday from 7 pm until 11 pm, Friday from 7 pm until 1 am, Saturday from 3 pm until 1 am, and Sunday from 3 pm until 11 pm. For more information about the Nuyorican Poets Cafe, simply call: (212) 780-9386 today. It is very unusual to appreciate a place so much, however; I can honestly say that this cafe is just one of those places. 9. Duke's Original Roadhouse Bar. Being a lacto ovo vegetarian, it can be hard to find vegetarian friendly food. When a friend recommended that I try Duke's Original Roadhouse Bar, I was not reluctant to do so and once I ended up trying it, I discovered that they make some of the best martinis in New York City. Located on 99 East 19 th Street at Park Avenue South lies one of the hottest, liveliest eating places to find a great martini in New York City, Duke's Original Roadhouse Bar. It's not the most immaculate establishment, but in spite of that, it is a fresh, yet up to date bar. The last time I visited Duke's Original Roadhouse Bar I ordered a martini on the rocks and a veggie burger with French fries. Can we say delicious? It was amazing. Any martini you want, they have it and if they don't, they will make you something even better. Duke's Original Roadhouse Bar is open Duke's Original Roadhouse Bar is open everyday from 11:30 am until 3 am. For more information about Duke's Original Roadhouse Bar, simply call: (212) 260-2922 today. I love eating great food and enjoy a great cocktail, while I eat and there just isn't a better place to enjoy an incredible martini in NYC while eating my food than Duke's Bar. 8. Duo. I was walking on Park Avenue and had met a few people randomly. I sort of did a poll, where I asked each one "What place makes the best martini in New York City." Although I received an array of different places, a vast majority told me to visit Duo. Located on 72 Madison Avenue in the heart of New York City in between 27 th and 28 th Street lies Duo. If you are hunting for an astonishing martini, you cannot go wrong with Duo. Although there isn't much here for a vegetarian to eat, you can order one of their fabulous sides, which truly compliments the drink. Looking to enjoy an amazingly incredible martini? You cannot go wrong with Duo. Duo is open Monday from 11:30 am until 11 pm, Tuesday through Friday from 11:30 am until 12 am, Saturday from 12 pm until 12 am, and Sunday from 12 pm until 11 pm. For more information about Duo, simply call: (212) 686-7272 right now. Whether a single or a duo, you will love the Martinis at Duo. In fact, you will love them so much, you just may order a duo at once. Hahaha! 7. Bemelman's Bar at the Carlyle. One day, when I was walking on Madison Avenue, I found myself walking into Bemelman's Bar at the Carlyle hotel. I was intrigued by the atmosphere, however; once I tried a martini, I just knew that I found this place for a reason. Located on 34 East 76 th Street at Madison Avenue lies one of the most prestigious, upscale restaurants in New York City, Bemelman's Bar. This amazingly elite entity is located on the upper East side of the city. This place is very upscale that you just may see Ted Turner or Bill Gates there. It's a place that attracts some of NY's finest. The ceiling is all 24 karat gold. The martinis here are incredible. Everything from the flavor to the essence. It may be a hotel bar, but it makes some of the best martini drinks I have ever tried in my life. Bemelman's Bar is open 7 days a week, everyday from 12 pm until 1 am. For more information about Bemelman's Bar at the Carlyle, simply call: (212) 744-1600 today. Tasting an incredible martini only starts here. 6. Pravda. I have always found the Russian culture to be interestingly intriguing. I have never really tried Russian food and then one day a friend of mine said "Sarah, we are going to Pravda!" Located on 281 Lafayette Street in between Prince and Houston Street lies one of the best places to find only the best martinis in NYC, Pravda. I seriously love the martinis at this eatery. Also, what was impressive was the selections they had to offer. Plus, you can create your own. They have so many great liqueurs, as well as, liquors to choose from, you can create any kind of martini you want. Of course, when I ate here, I had the incredible "Vladimir Martini" which consists of fig vodka and Russian tea syrup. 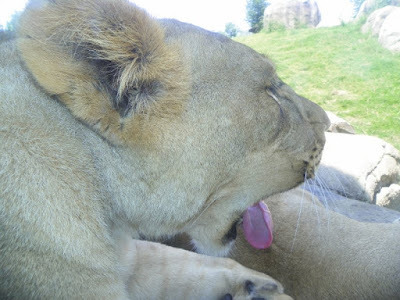 It has an acquired taste. The food here is primarily Russian and bar food. Pravda is open Monday from 5 pm until 1 am, Tuesday and Wednesday from 5 pm until 2 am, Thursday from 5 pm until 2:30 am, Friday and Saturday from 5 pm until 3:30 am, and Sunday from 6 pm until 1 am. For more information about Pravda, simply call: (212) 226-4944 right now. 5. Touch. One of my favorite things that I love to do in New York City is definitely try new things, especially amazing things that you find yourself trying so unexpectedly. I remember the first time I was in the mood for a great martini and having the chance to go to Touch with a group of friends. It was like a avant-garde rapture. If you are searching for a great place in the big apple to get an incredible martini, you cannot go wrong with Touch. Located on 240 W. 52 nd Street on North Broadway lies one of the hottest clubs in New York City, Touch. I remember being in the mood for a good martini and unpredictably frequenting Touch for the first time, only to leave knowing I had a great drink, which result into a great experience. If you are looking to enjoy an outstanding martini in New York City, Touch is the place you want to go. Touch is open Thursday through Sunday from 10 pm until 4 am. For more information about Touch, simply call: (212) 489-7656 today. I think the next time I visit Touch, I am going to try the original Martini again, but also get it with green olives and Swiss cheese. 4. Forlini's. If you have ever been to New York City, you will notice how cultured, yet catered the cuisine is. If you are in the mood for seafood, you will find it. If you are in the mood for Thai food, you will find it. If you are in the mood for Italian food, you will most definitely find it. If you are searching for an incredible martini, well, you will find it and guess where you will find it? Forlini's. Forlini's is located in the heart of NYC on 93 Baxter Street in between Walker and White Street. The martini's here are very close to perfect. Amazing to the A. Although, Forlini's is primarily Italian cuisine, I must admit that they make incredible Baked Stuffed Shells which taste unbelievably delectable with the incredible Martini. Forlini's is open 7 days a week, everyday from 12 pm until 2 am. For more information about Forlini's simply call, (212) 349-6779 right now. Would I eat here again? Yes. Would I recommend this place to a friend? Most definitely. Do I love their Martinis? Absolutely. 3. 49 Grove. "I'll have a martini please." One of the best things I love is going into an establishment and ordering a drink that exceeds your expectations. If you are looking for that sort of experience, you are going to love 49 Grove. In between Christopher Street and 7 th Avenue, on 49 Grove Street lies one of the most exciting nightclubs in the West Village of the big apple, 49 Grove. When you first enter this business, you will notice that it is dark with bright fluorescents haunting the ambiance. It is, in fact, a nightclub, so that is to be expected. If you are looking to enjoy an incredible martini, I definitely recommend trying one from here. The flavor is so unbelievably balanced, once you try a martini from 40 Grove, you may not be able to compare it to the other martinis you have had. The original martini is popular here because 49 Grove makes them remarkably. Plus, there is a big selection to choose from and if you are undecided you can be like me and create your own martini. 49 Grove is open Thursday through Saturday from 10 pm until 4 am. For more information about 49 Grove, simply call: (212) 727-1100 today. What better way to sit back and sip your incredible martini while enjoying the perks of fantastic entertainment. Does it get any better? 2. Simone Martini Bar. I remember walking past an art gallery and hearing women talking about the Simone Martini Bar. For some reason the idea intrigued me enough to visit the restaurant and when I did, I discovered they make some of the best Martinis in New York. Located on 134 1 st Avenue at St. Marks Place lies the Simone Martini Bar. The Martinis here are absolutely phenomenal in every aspect, on every wavelength. Plus, the bartender is very creative so no matter what type of martini you order, you will be incredibly satisfied, as a result. With everything from salads and sandwiches, you are destined to find great food to go with your martini. If you are a vegetarian like me, you will also find something to enjoy here too. Although the Simone Martini Bar is Italian inspired, it is not 100% Italian. The Simon Martini Bar is open Sunday and Monday from 11 am until 3 am and then Tuesday through Saturday from 11 am until 4 am. For more information about the Simon Martini Bar, simply call: (212) 982-6665 right now. I absolutely love this place and I guarantee that if you are searching for an incredible martini in the big apple, you will too. 1. Caviar Russe. After trying hundreds of martinis in the big apple, I have discovered that Caviar Russe's are the best. Located in the heart of the big apple on 538 Madison Avenue in between 54 th and 55 th Street lies the number one, best place to find an incredible martini in New York City, Caviar Russe. When it comes to creating an incredible martini cocktail, there is so much that comes into play. Everything from the flavor to the use of quality ingredients to the presentation. Caviar Russe has managed to create the most impressive martinis yet and if you are looking to enjoy only the best martinis in New York City, you must visit Caviar Russe. What a better way to enjoy your incredible martini than to order something delicious from the menu. Although this a seafood and sushi oriented eatery, you can find an array of other things too. I am a vegetarian, so I love the Portabella Mushroom Wrap. Caviar Russe is open Monday through Saturday from 10 am until 10 pm and then on Sunday from 11 am until 6 pm. For more information about Caviar Russe, simply call: (212) 980-5908 today. Caviar Russe truly makes the best martinis that NYC has to offer. 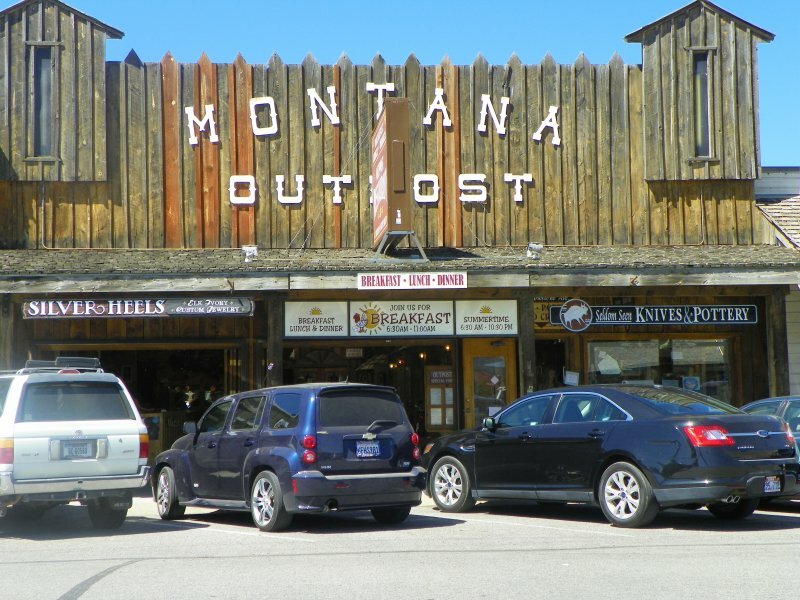 The Montana Outpost Restaurant in West Yellowstone, MT. As it comes to dining in West Yellowstone, the decisions are almost endless. With an estimate of over 4 million visitors a year, Yellowstone National Park remains to be one of the largest attractions in the country. Before entering the actual park, I was relatively hungry. I did not eat lunch and therefore; was in search of a great eatery. After pondering what I was actually in the mood for, I noticed when driving by an array of restaurants, one sparked up my interest, the Outpost Restaurant. 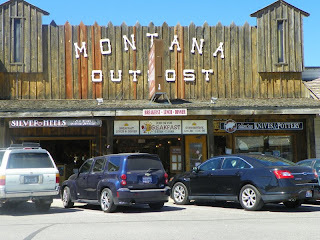 Recently, when visiting Yellowstone National Park, I had the opportunity of not only discovering the Outpost Restaurant, but eating lunch there. When you first enter this eatery, you will notice that the tables are slightly modern, with a western influence. One area of the restaurant consisted of mainly booths, as the other area of the restaurant consisted of mainly tables. The ambience was made up of timeless memorabilia that ranged from old cereal boxes to pre contemporary art deco. I must say that it was rather interesting to look at. I wasn't in the mood for salad, although the salad did look fairly appetizing, as the ingredients on the buffet looked rather fresh. After I sat down, I was greeted and then approached with a menu. Even though there was already water with ice on the table, I decided to order a soda. I couldn't decide what I wanted, so after the waitress delivered my soda, she gave me more time to think about what I wanted to order. I am a lacto ovo vegetarian, so going into any restaurant, you must be willing to take a risk because options may be potentially slim. As I browsed through the menu, I noticed that the options were, in fact slim. Although, the salad bar looked like a decent salad bar, I was not in the mood for salad. Most meat oriented eateries tend to have at least one entr©e that is meatless or caters to a vegetarian lifestyle. There was nothing at the Outpost Restaurant that I could eat, but the salad bar. Then, when I actually walked up to the salad bar, I noticed a variety of made up salads such as chicken salad, that were pre-made with meat already in them. When I walked back to my seat, I glanced at the menu again. There was nothing. I knew I had to order something so I went with the club sandwich. I asked the waitress to substitute the meat for extra cheese and to add veggies to the sandwich. She did not hesitate to let me know that she only had only certain vegetables available. "No, we don't have that" she would reply after almost every question I had. The salad bar had an array of vegetables on it, which did not make any sense to me why a vast majority of the vegetables I inquired about were not available. She offered me two choices of bread and asked what kind I wanted. As I pondered my options between white or wheat, I decided to go with the wheat bread. I mentioned that I would like some mayonnaise on my sandwich. She brought out the sandwich and it looked incredibly enticing, but simple, as if it could have been made at home. I had asked previously if she could add some black olives on the club sandwich, but despite not putting them on it, she did manage to bring out a small rim saucer bowl of them. The veggie club sandwich was over $11 and although it was good at the time, it was not worth $11. I've had better club sandwiches in dives that were dollars cheaper. I don't like writing poor reviews, however; I must state that I was a little dissatisfied. The Outpost Restaurant is open everyday from 6:30 am until 10:30 am. Would I recommend the Outpost Restaurant to a friend? Yes, but only if they engage in a meat eating lifestyle. If one of my friend's happens to be a vegetarian, I would not recommend the Outpost Restaurant for lunch or dinner. Would I eat at Outpost Restaurant again? Perhaps, but only if they add more of a vegetarian selection on the menu. As of today, the Outpost Restaurant was moderately disappointing. On Tuesday, August 30 th through Monday, September 5 th 2011 Dillon, MT will have their annual Beaverhead County Fair. It is the biggest weekend that Beaverhead County has ever seen, as it is one of the most exciting weekends in Montana. It gives many people the opportunity to have a great time, as it brings nothing, but fun and excitement. There are no other places that hold such a huge Labor Day weekend as this one. This amazingly fun fair is located at the Beaverhead County Fairgrounds, which is located in Dillon, MT. Admission to get into the Beaverhead County Fair is only $5, however; once you receive the button, you are guaranteed to use it for the entire week. Before the actual Beaverhead County Fair takes place on the 30 th of August, there are an array of deadlines, as well as, shows and contests that need to be meant. For instance, those that intend to enter your livestock into the fair must do so on Monday, August 15 th at 5 pm. On Monday, August 22 nd at 8 am the Beaverhead County and Melrose 4-H Show will be head at the Harry Andrus Arena. On Wednesday, August 24 th at 3 pm the 4-H will hold it's Small Animal Skill-A-Thon. On Thursday, August 25 th at 6 pm, the Open Class Dog Obedience Show sponsored by the 4-H will be held. Another reason to love the Beaverhead County Fair is the fact that you can enter an array of things into the Fair. On Tuesday, August 30 th from 10 am until 8 pm, all open class entries will be accepted into the fair. This only includes non-animal entries. The entries can include everything from art to food to photography to sewing to posters, and much more. For more information, please call: (406) 683-3785 or (406) 683-6836. What I love most about the fair is the fact that you can see an array of animals that range from goats and sheep to chicken and ducks to rabbits and horses to even cattle and much more throughout the entire Beaverhead County Fair. My favorite thing about the Beaverhead County Fair is the carnival sponsored by the Thomas Carnival Company. On Thursday, September 1 st through Sunday, September 4 th be prepared for the actual carnival, which allows you to not enjoy some of the hottest rides for both adults and children, but play array of games and enjoy some of the finest carnival food that the Beaverhead County Fair has to offer. Advance sales in wristbands are available starting Monday, August 15 th . Prices vary per ride, however; you can get specials which allow you to pay $20 for unlimited riding. The fair has a huge vendor following, as there are numerous businesses located on the walkway towards the carnival. You can purchase almost everything. The food selection is as diverse as the individual who eats it. You can find food of just about every cuisine at the Beaverhead County Fair, including food that is not regularly available in Beaverhead County. A lot of small businesses from all around the world (yes world) come to enjoy the fair and sell their products and/or services. There is a fun karaoke contest sponsored by an array of businesses which gives fair goers the opportunity to win $1,000. It is held by Boots Country and hosted by both Boots and Harvey Lake. The contest starts on Wednesday, August 31 st through Friday, September 2 nd . It starts at around 10 pm. It costs about $10 to enter. The money goes towards the $1,000 prize. Each night, there are an array of winners picked. Each winner, then, goes onto the next round to compete for the $1,000 prize. With everything from team roping to ranch sorting to stock horse shows to even a variety of rodeos, Dillon Montana is the place to be on Labor Day. The Dillon Jaycees Rodeo starts at 7:30 pm on Saturday, September 3 rd and 1:30 pm on Sunday, September 4 th . The Dillon Jaycees Concert welcomes Craig Morgan, who will perform at 8 pm on Sunday, September 4 th . For more information about the rodeo, as well as, purchasing tickets to see Craig Morgan, please call: (406) 683-5771. The Labor Day parade in Beaverhead County is one of the biggest Labor Day parades I have ever seen. It is held on Monday, September 5 th at 10 am. On that same day is the Big N' Rich Jackpot which is held at the Badly Scattered Cattle Company Arena at 2 pm. For anyone looking to enjoy an amazing time, I truly recommend attending the Beaverhead County Fair in Dillon, MT, as it is destined to be one of the best Labor Day weekends in the United States. The iPhone has proved to challenge the odds of high-tech technology on numerous levels. With apps such as Pandora which allows you to listen to some of the hottest music right now to Shop Savvy which allows you to discover only the best deals around to Mixology which allows you to discover everything and anything dealing with cocktails and mixed drinks to Netflix which allows you to watch your favorite flick instantly, right from your iPhone. The year is 2011 and there are a so many applications you can use with your iPhone, so I have narrowed down the number apps to only the top 5 of 2011. 5. Stanza. One of my favorite iPhone apps of 2011 is definitely Stanza. The concept of reading without using any paper is interesting, however; what makes Stanza so incredible is the fact that you have over 100,000 books to choose from. This application is free, making it even more fascinating. For more information about Lexcycle's Stanza application for iPhone, just visit Lexcycle.com today. You will be thankful that you did. 4. Pogo. EA (or Electronic Arts) launched the Pogo app for iPhone users looking to play games. It is seriously one of the best applications for the iPhone. You can get this app free, however; if you do, it only comes with five games. If you buy the club pogo service for an annual fee of $30, you can get access to a lot more games. If you do not want any interruptions from ads you can pay an extra $2.99 for the ad-free upgrade. For more information about the Pogo iPhone app, check out - Pogo.com right now. I love Pogo! 3. Wikipedia. Out of the many applications I have tried for iPhone, the one that I find myself using constantly is definitely Wikipedia. It's like it has lured me in. I have always been a fan of the website, however; I have garnered a huge appreciation for the website. Especially if I am traveling and have no clue where I am, etc. It's seriously such an incredible application and the ultimate resource app. For more information about the Wikipedia app for iPhone, simply visit - en.wikipedia.org today. Definitely one of the best iPhone apps of 2011. 2. Shazam. If you are looking to enjoy an app that allows you to search for the name of a song, this is the app to download. Say you are in a restaurant and you hear a song that captures your interest, however; you do not know the title of the song nor do you know the artist. Just turn on Shazam and it will allow you to find what you are looking for. One time I used this app in a restaurant and discovered the title, as well as, the artist too. Without Shazam, it would have never been possible. For information about this amazing app, simply visit Shazam.com right now. Shazam is amazing and I know that once you discover this iPhone app, you will think so too. 1. Yahoo!. The best iPhone app is definitely Yahoo! This incredible application for iPhone gives me access to not only email and instant messaging, but search, sports, news, weather, and much more. I can also access Associated Content using this app. I find that this application is the best because it gives me a variety of apps, along with the option to discover new ones. For more information about the Yahoo! app for iPhone, just visit - mobile.yahoo.com/iphone today. Love it! National Park from West Yellowstone, MT. Yellowstone National Park is one of the most popular attractions in the world today. Recently, I had the opportunity to visit Yellowstone National Park for the first time. After about driving 2 hours from my main residence in Dillon, MT to West Yellowstone, MT, I was about to enter the park. I never saw it, but have been so fascinated by what it represents and how important it is to world, as we know it. The significance of this attraction is so intriguing. The mountains are so picturesque, I felt like I was entering an animated fairytale or a scene to a fantasy fiction flick. Some of the best recreational activities at Yellowstone include: sightseeing and photography, hiking, camping, boating, and fishing. Although I have yet to see a wolf, I have seen both a black and grizzly bear, bison, an array of elk, and a moose. 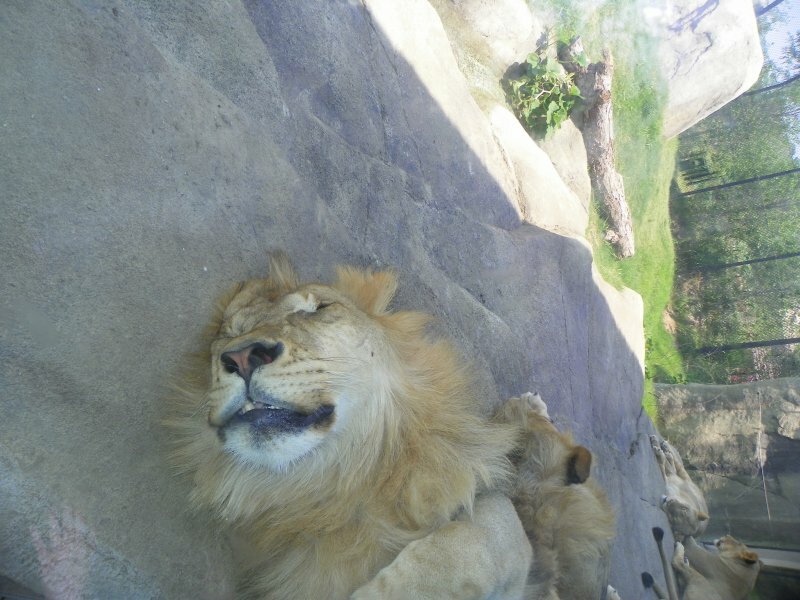 The animals are endless. There is an assortment of birds and plants, including rarities that can only be found in the park. The ecosystem at Yellowstone is quite possibly the oldest, yet largest ecosystem in the world. There are a variety of lakes, as well as, waterfalls which contribute to the amazing ambiance and scenery. The trees are relatively beautiful, however; seeing the resulted damage of the forest fires which occurred unpredictable from the 1980s and 1990s, as well as, 2000s was relatively depressing. The attractions vary. Some of my favorites include: the Kepler Cascades, the Steamboat Geyser, the Midway Geyser Basin, and much more. I have yet to see everything, but intend to do so. The smell of sulfur varies around the park and is not always prevalent. The Yellowstone Caldera is the largest super volcano in North America. What I found so incredibly fascinating was the fact that the rock in the actual park itself is linked to the Yellowstone Caldera super volcano. The ranger informed me that the rock is estimated to be over 2 million years old with the last eruption occurring over 70,000 years ago. I absolutely love Yellowstone National Park. In fact, I love it so much that I bought an entire year membership and have visited this underrated park four times within the month of July alone. I recommend visiting Yellowstone National Park, as I definitely intend to visit again very soon. I am definitely looking forward to visiting in the Spring, Fall, and Winter season. Pure bliss of delectable indulgence. Optulent portions of sugary mystery. Wide range varieties that start at just a pence. Enthusiastic thoughts of immediate joy. Riveting sweet tooth illustrated in epic proportions and decoy. Oblivious sugar highs that last for minutes and hours. Flavorful truffles, caramels, jelly beans, gummy bears, cow tales, licorice, and marshmallow flowers. Chocolate is a satisfaction fueled from an addiction. Anticipating a reward as melodious as life you want to live. No where will you find candy dislike, untying truth from fiction. Delicious and as powerful with a dopamine practically dandy. You can never defeat the power of candy. Review coming soon. Stay tuned. They never made one before and guess what? It turned out great. I love coffee sometimes, however; lately, I have been more of a sporadic coffee drinker. I am, however; a Chai connoisseur. I find myself drinking Chai a lot. If you are a fan of Vodka and Apples, you are destined to not only appreciate the "Appletini", but love it, as a result. This amazing, yet fruity and flavorful apple martini was innovated by Mark Roesler. Although the drink possesses a rarity of ingredients, it remains to be one of the most popular martinis in the world to date.